Visiting is one of the pleasures of Freemasonry and Masons will often go to great lengths to visit a friend’s Lodge. This is a tale of just such a visit. Freemasons will often travel long distances to visit another Lodge and the Hungerford members are no exception. One of our members was first brought into Freemasonry in a Lodge based in London, namely the St. Andrew’s Lodge no 231 which meets in Mark Masons’ Hall in St. James’s Street. Freemasons are proud of their Lodges and Robin duly invited members of the Hungerford Lodge to attend the installation meeting of his Mother Lodge. A visiting team was assembled, led by Mark Wiltshire, our current Master, and off they went to the big smoke. Having successfully navigated the trains and tubes, the brethren prepared themselves for the meeting with all of their regalia. Here we see Andrew, Chris, Mark and Sandy dressed in their finest ready for the off. They are clearly captivated by the beauty of their surroundings. 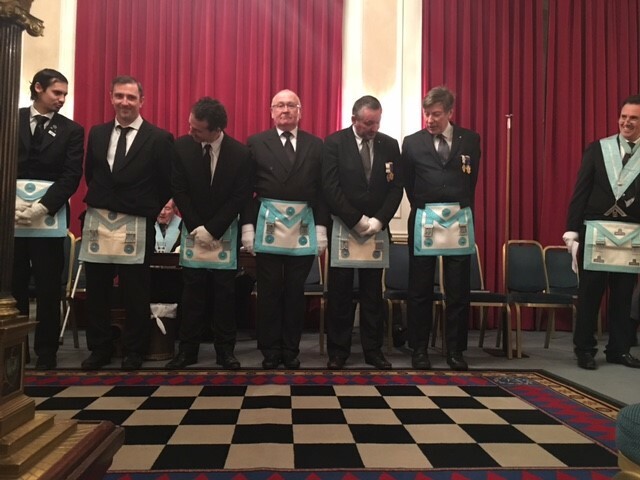 However, they must have been slightly overawed by the occasion as the boys took a wrong turning and found themselves part of the lineup saluting the new master of St Andrew’s Lodge! Needless to say a great time was had by all at the Festive Board but all too soon it was time to head to Paddington station. They caught the last train back to Hungerford and headed home to bed. 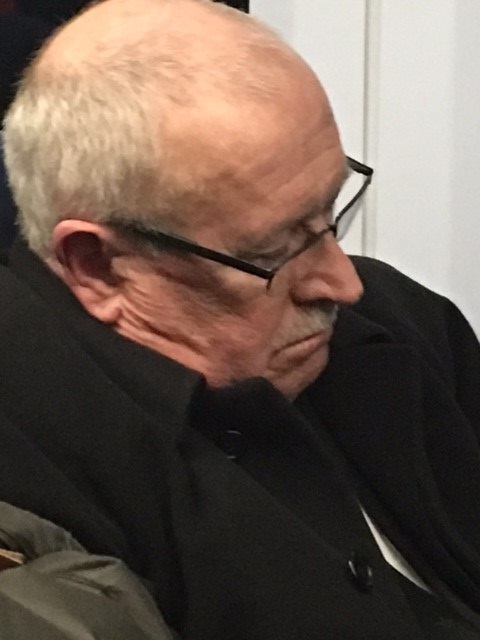 Some even stayed awake until they got home….. although Sandy claims he was just reliving the evening! We look forward to hosting members of the St Andrew’s Lodge at a meeting of the Hungerford Lodge on a return visit in the near future.